Hip-hop hooray! 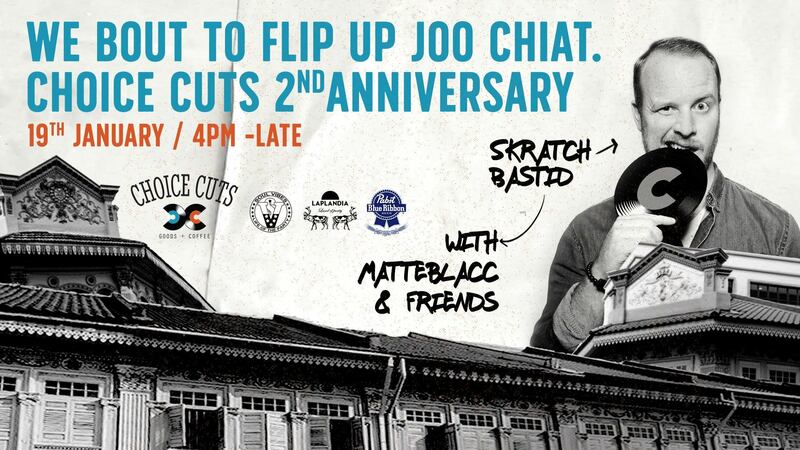 Choice Cuts Goods + Coffee, one of the bastions of hip-hop in Singapore, where one can also tuck into some good food and coffee as one crate-digs from an impeccably curated selection of vinyl records, celebrates its second anniversary this Saturday. Esteemed Canadian DJ Skratch Bastid will join the Matteblacc crew's heavy-hitters DREM, JNR, ARMS1, PAULSILVER, MZA, Pushin'On's Tom Shellsuit and Dave Code, Revision Music's Rah, Darker Than Wax co-pilot FUNK BSTRD and DJ JUSTO to soundtrack the party live. This is a beyond-incredible lineup of groove-forward selectors that will undoubtedly bring an ample measure of bounce, soul and heart to the proceedings. Choice Cuts 2nd Anniversary Feat. Skratch Bastid happens on Saturday, January 19, at Choice Cuts Goods + Coffee, from 4pm onwards. Click here for more information.